Welcome to the world of cool Hama Bead Patterns. Where to Buy Hama Beads? Somewhere to put your drink this Christmas! These are great a very cheap and the design can be anything you choose. Whatever it is, they will be a talking point of your celebration. 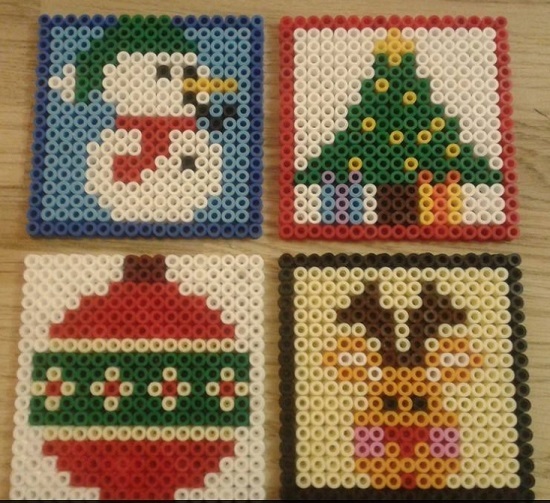 What you require to make a our Christmas Coaster out of Hama Beads. Colours required – Be brave a make a design of your own, but here is a list of the colours you will require to make these Christmas Coasters and the part number of the individual coloured packs. nana nana nana nana, Batman! We had a great time creating some new and exciting coasters for you all to put your cups of tea or coffee on. Here is a design i loved doing for my work mate Daryl, I’m sure from the pic you can see he is a huge Batman fan. Check out our other Hama bead coasters. 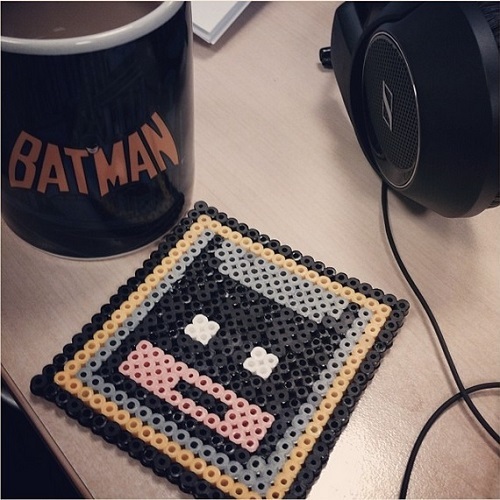 What you require to make a our Batman Coaster out of Hama Beads. Pegboards – 1 x large interlinking peg boards (Hama Boards #234), it all depands on how big you want to make your coaster. Colours required – But here is a list of the colours you will require to make this Batman Coaster and the part number of the individual coloured packs.